Kiara Williams, Freelance ghostwriter, blogger and unashamed champion of underdogs. Over the past few decades, women have come an astonishingly long way in the workplace. But when it comes to the tech industry, men have always dominated – and they still do by a significantly large margin. Despite increasing efforts to get more women interested in the tech industry, reports have shown that the number of women in tech is actually falling. What’s the Real Reason Behind the Lack of Women in the Tech Industry? There are many reasons that we have so few women in the tech industry – from girls being discouraged to choose study science and mathematics at school, to the sexist ‘brogrammer’ tech culture which is often brought into the workplace from college campuses. Perhaps one of the most significant factors of all is the severe lack of role models in the industry for women to look up to. Most people can reel off a list of influential men with ease – think Steve Jobs, Mark Zuckerberg, and Elon Musk. But what about influential women in the tech industry? To show what can actually be accomplished, we’ve come up with a list of some of the most inspirational, empowering women in the tech industry, who have carried out their vision – and succeeded quite impressively. Sheila founded Care.com back in 2006 as a solution to one of her biggest personal challenges at the time. As a young working mother, she found it difficult to take care of her two small children and her aging parents. Fast forward to today, and her company is the world’s largest and most successful platform used to find and manage family care. It serves a surplus of 28.4 million people across more than 20 countries worldwide. Care.com managed to raise a total of $111 million in venture capital from its founding in 2006 through 2012. Its investors even included LinkedIn founder, Reid Hoffman. Marcelo is one of the few female entrepreneurs to raise more than $35 million in venture capital funding. HuffPost, previously known as The Huffington Post, is an American news and opinion website and blog that was founded back in 2005 by Arianna Huffington, Kenneth Lerer, and Andrew Breitbart. In February 2011, The Huffington Post was acquired by AOL for a sum of $315 million and made Arianna Huffington the editor-in-chief of The Huffington Post Media Group. It continues to have an extremely active community, with over one million comments being made on the website every single month. It is consistently ranked #1 in eBizMBA’s list of most popular political websites. SlideShare was launched in 2006 as a way to allow people to share their presentations online. Since then, it has been a huge success, with a total of over 9 million presentations uploaded. Sinha built the site in just six months, with help from her husband and her older brother. It was acquired by LinkedIn 2012 for $119 million. SlideShare remains popular to this day, with an estimated 80 million unique visitors every month, and over 38 million registered users. Poshly is a data analytics company that focuses on consumer intelligence. It was founded by Bloch a year after she graduated from UC Berkeley and has since received over $3 million in venture capital funding, and now consists of 10 team members. Bloch was named one of the ‘30 Under 30 CEOs’ by Inc. Magazine in 2015. She is also the winner of L’Oreal’s NEXT Generation Women in Digital Award. Clue is a period and ovulation tracker app that uses science and data to provide insights into female health. It gives women a way to track and discover the unique patterns in their cycles. It was founded by Ida Tin, a Danish internet entrepreneur, and author. She was named the Female Web Entrepreneur of the Year at the Slush Conference in 2015 and is also credited for coining the term ‘femtech’ (or ‘female technology’) – a term applied to products and services that leverage technology to focus on women’s health. Today, the Clue app boasts over 2.5 million users from 180 different countries. There’s no doubt that, despite the positive signs, getting more women into tech is still a challenge – and will probably continue to be for the foreseeable future. However, the number of women taking the leap and starting up their own businesses is nothing less than inspiring. 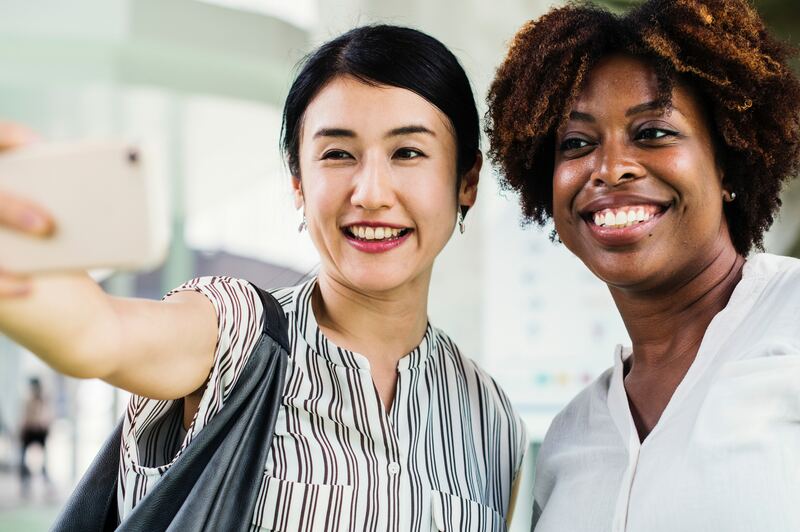 As time progresses, we can only hope that we will continue to see a rise in the number of women opting to start their own business – and, hopefully, succeeding. Hound for pop culture, marketing, media and social justice. And I'm in Brooklyn. I've been ghost-writing articles for five years, and have recently started authoring my own content. I'm a consultant to businesses and entrepreneurs helping to advance their business and brand.